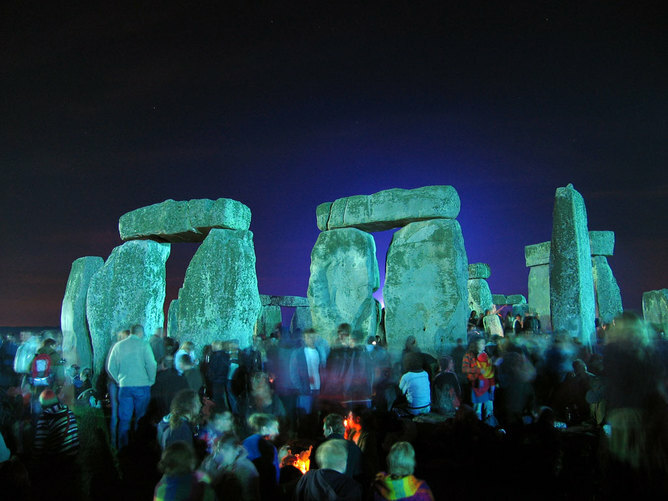 Stonehenge solar calendar: The science behind leap years and how they work. 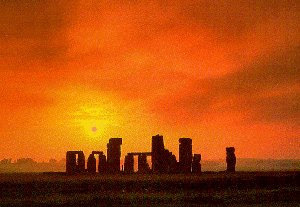 As users of a solar calendar, we rely on the sun to tell us how long a year is and when each of the four seasons begins. It was devised to match our farming habits and as a reliable – and visible – guide to the passing of time. The sun’s position on the horizon as it rises and sets moves over the course of a year, further south in the winter, and further north in the summer. This significant change is used to mark midwinter or midsummer at famous locations such as Stonehenge and New Grange. But as a very specific measure, one year, better described as a tropical year, is defined as the time between one spring equinox and the next being 365 days, five hours, 48 minutes and 45 seconds. This period is often rounded up to 365 and a quarter days – although even the Greek astronomer Hipparchus realised over 2,000 years ago that this was a generous approximation – and so to keep our years aligned and reassuringly predictable, a leap day is added to the calendar every four years to allow for the accumulation of those otherwise overlooked four extra quarters. If we kept every year at a fixed 365 days, the months would gradually shift with the sun until in 750 years’ time, June, in the northern hemisphere, would fall in the middle of winter. Planning for the future would gradually become more and more complicated, and religious traditions with a seasonal element, such as Christmas and Easter, would become hopelessly out of kilter. So there has been a considerable motivation for cultures to keep their calendars precise and predictable – and establishing a workable system was a considerable demonstration of power by the rulers of historic empires. The current length of each month and therefore the length of a year dates back to the Roman dictator Julius Caesar. This “Julian” calendar included leap days but they instead occured every three years. When Augustus – Julius Caesar’s heir –became emperor he corrected this mistake and celebrated his power and understanding of celestial movements through monuments such as the giant sundial of Augustus. This huge meridian sundial once stood on the Campus Martius in Rome, its calendrical functionality a constant reminder of Augustus’ greatness. But the Julian calendar was not perfect either, since the year was in fact just a little bit shorter than 365.25 days. Pope Gregory corrected this mistake in his Gregorian calendar of 1582. As well as adding a leap day every four years, he also opted to lose three days every 400 years. This was a Catholic decision, which Protestant and Orthodox calendars resisted for some time. Greece was the last country to accept the Gregorian reform in 1923. The modern result of all this squabbling is our current system of adding an extra day every four years. To adjust for the uneven precision of the fraction, every 100 years we also skip this rule and drop the extra day. Then, every 400 years we skip the skipping rule and have an extra day again. Yes, it’s complicated. The year 2000, for example, was a leap year, since it was divisible by four. But since it was also divisible by 400, the dropping of the extra day every 100 years was not carried out. This long-term solution creates an average year length of 365.2425 days, still slightly off the required target of 365.2421897 days, making even this complicated modern arrangement incorrect by one day over a period of just under 4,000 years. This error is part of the reason why we sometimes include leap seconds at the end of June or December. However, this is not done in a regular fashion and is determined by the deviation of the calendar by the International Earth Rotation and Reference Systems Service. Since this adjustment is so small it is influenced by the general slowing down of the Earth’s rotation and the complex system of all the solar system bodies upon Earth. So not only are leap years the result of millennia of mathematical work, they are also the consequence of rulers imposing their will on people’s day to day lives, and the gradual understanding of our place in the universe. Controlling calendars means controlling the rhythms of a culture – which is something for all of us to think about on February 29. 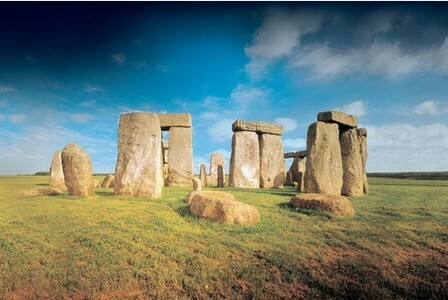 Artefacts dating from 2,200 - 2,000 BC have been found, including an archer's wrist guard, copper chisel, bronze saw and cremated human remains.They were discovered after badgers dug into an ancient burial mound on land belonging to the Ministry of Defence at Netheravon, Wilts., around five miles north of Stonehenge. Richard Osgood, senior archaeologist from the MOD's Defence Infrastructure Organisation, said the burial site was "an exciting find". He said: "It was utterly unexpected. These are wonderful artefacts from the early Bronze Age, about 2,200-2,000 BC. "There are badger setts in quite a few scheduled monuments - the actions of burrowing animals is one of the biggest risks to archaeology in Britain - but to bring out items of this quality from one hole is unusual. "We would never have known these objects were in there, so there's a small part of me that is quite pleased the badger did this... but it probably would have been better that these things had stayed within the monument where they'd resided for 4,000 years." The items were spotted after a badger dug up a cremation urn and had left sherds of pottery lying on the ground. A full archaeological dig has now been carried out on the site which was excavated with the help of injured military personnel and veterans. During the dig, shaft straighteners for straightening arrows and pieces of pottery were also found. 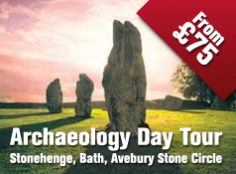 Wiltshire has been an area of discovery for a number of other ancient finds, including 27 bodies found by soldiers, a 6,000-year-old encampment and Bronze Age jewellery. The items dug up by the badger will go on display at Wiltshire Museum in Devizes later this year. sorted through bone fragments (example shown left) from the famous site. Caricatures of Stone Age man may cast him as a bit of a brute, and few depictions of Stonehenge across art work and TV feature images of women. 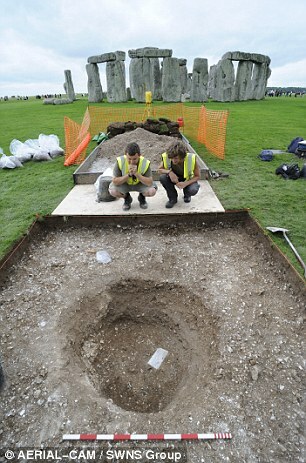 But a burial pit found at Stonehenge challenges this view by revealing a 'surprising' number of females among those cremated at the Wiltshire site. Researchers have spent years sifting through and analysing the remains of adults found at the monument to discover that, to their astonishment, more bones belonged to women than men. The find contrasts with earlier studies from older Neolithic tombs in southern Britain, where burials showed a higher ratio of adult males to females. 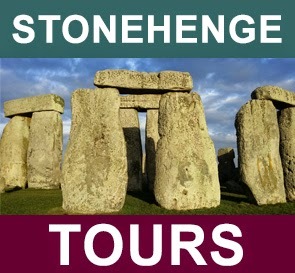 But it supports the theory that Stonehenge functioned as a cemetery for leaders, according to a report published in the latest issue of British Archaeology.